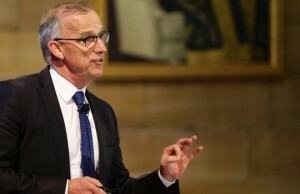 A fellow of the University of Sydney senate has blasted major changes passed recently regarding the way the university is governed, describing them as “consistent with the increasing corporatisation” of the institution. 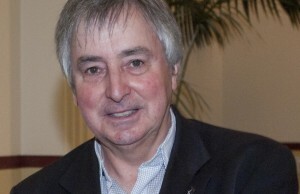 In a scathing critique, Professor Christopher Murphy, a staff-elected senate fellow, told Honi Soit he believed the changes passed in December that will see a number of elected senate fellow positions abolished entirely will be “interpreted as a further centralisation of decision-making power” in university management. “What senate really voted for, even though it may not be aware of it, was to make itself increasingly irrelevant to the broader university community,” he said. A well-placed source who asked not to be named said the changes have been in the works for “decades” but only started to receive serious attention following the appointment of Chancellor Belinda Hutchinson in 2013. “That’s been [Ms Hutchinson’s] attitude the whole time,” the source said, adding that it had been an important objective of Ms Hutchinson’s for these changes to be made since her appointment three years ago. The changes were passed on December 14 in the final senate meeting before the summer break, a time when two senate fellows were overseas and one had recently passed away. The source described the discussions within the senate as “incredibly fractious” among fellows, with “huge divides” emerging over the changes when they were proposed. As Honi has previously reported, the senate’s simultaneous approval of a new six-faculty university structure would also drastically reduce the number of undergraduate degrees on offer, following the infamous ‘Melbourne Model’ instituted at Melbourne University in 2008. “It was my view that the legislation requires that there be effective consultation of stakeholders. There was no consultation with alumni or academic staff directly that I know of,” said Professor Murphy. A spokeswoman for the university said in an email that the senate’s decision to reduce its numbers came after an “independent external review and extensive senate discussion”, however the details of this review have not been published publicly. However, Honi’s source said the only consultation had been limited to the senate’s Alumni Council, whose members are appointed by the Vice-Chancellor Michael Spence. Under the new model, a total of seven elected positions on senate – two from academic staff and five from alumni – will be abolished entirely from 2017, reducing the total number of senate fellows from 22 to just 15. The senate’s two student fellows will retain their positions, but be joined by only two staff-elected representatives from the university (down from four at present). The remaining 11 fellows will all come from senior levels of university management, or be appointed by the NSW Minister for Education. “If this all goes through, senate will be a self-serving board in a cycle of patronage,” said Stephen Ingate, who is the vice-president of the University of Sydney Union Alumni and Friends, but spoke to Honi in a personal capacity. The senate is the highest decision-making body of the university and has its functions conferred by an act of NSW Parliament. It is responsible for making key decisions about the university’s finances, staff, strategy and development. “Since its foundation, the senate has had a majority of elected members, and so could be fairly described as representative,” said Mr Ingate, adding that changes to the Alumni Council in 2014, which allowed the Vice-Chancellor to appoint members, had made them “apparatchiks to the Vice-Chancellor”. It is understood senate fellows elected from academic staff and alumni have been key dissenting votes in the past against positions espoused by the university’s administration. Another staff-elected senate fellow, Professor Marian Baird, told Honi the changes will certainly mean a shift in the “balance of representation”. Discussion at the December 14 meeting where the changes were passed was conducted entirely in secret, with members of senate bound by confidentiality provisions, prevented them from communicating with the public on the matter. Honi Soit attempted to gain access to the hours-long meeting, but was only allowed to observe for 10 minutes toward the end. 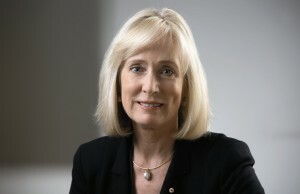 Professor Murphy condemned the level of secrecy around the decisions. “While I’m bound by the secrecy provisions – and even though I disagree with them – I don’t understand why senate is in the process of disenfranchising a large group of people,” he said. The minutes from the December 14 meeting – normally available for public review – disappeared from the university’s website two days after being uploaded. Honi understands that a number of university alumni and other interested parties on campus are planning to launch a campaign to oppose the changes in the coming weeks. “It’s not a corporation, it’s a university,” said Mr Ingate, who has written to the NSW Minister for Education, Adrian Piccoli, arguing his opposition to the matter. Under the provisions of the University of Sydney Act 1989, Mr Piccoli will need to sign off on the reforms before they are set in stone. The governance changes come not long after the three-time failed bid to deregulate Australian university fees – a campaign led in part by the Vice-Chancellor, who is also the chair of the Group of Eight sandstone universities. A spokesperson for the Minister for Education, Adrian Piccoli, said in an email the senate’s decision was “one for the University of Sydney to make” and that the minister had no role in “vetting” it.